Tel: 03-5511 8811 ext 2619/www.bluewavehotels.com). Business hours: 11.30am to 2.30pm, 6pm to 10.30pm, daily. ONE chef has managed to create great- tasting halal dim sum that can be enjoyed by everyone. 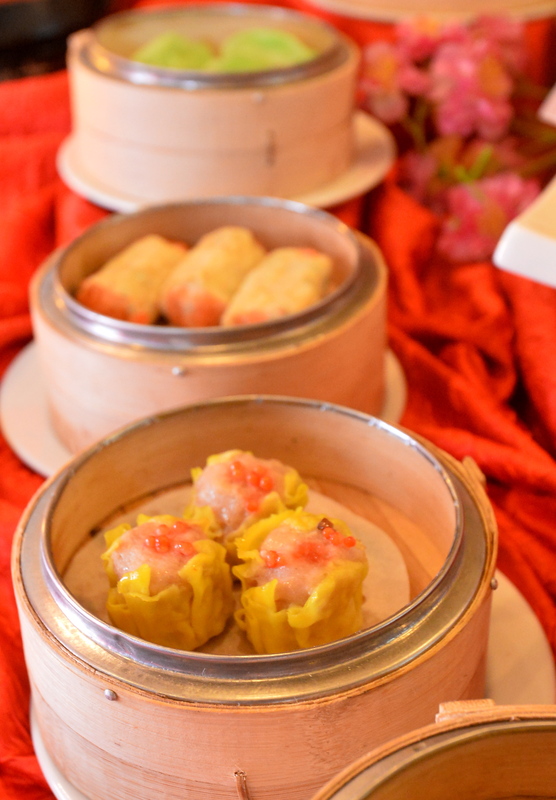 In a follow-up to the end of its Chinese New Year promotion, Tung Yuen Restaurant in Grand BlueWave Hotel Shah Alam has brought back its dim sum promotion. Chinese chef Patrick Ng has whipped up a selection of 21 items for this special all-you-can-eat à la carte dim sum promotion, priced at RM48++ per person. The effort to create halal replicas of dim sum is quite commendable as many of the items closely resemble the usual variety of dim sum in appearance, if not also in taste. (Bottom to top) Chicken Dumpling ‘siew mai’, Phoenix Eye Dumpling and Golden Ocean Dumpling are among the many colourful choices. This scrumptious line-up features five colourful varieties of “siew mai” dumplings, each one with a different core ingredient from chicken to crab meat, black mushroom and salted egg. No dim sum would be complete without char siu bao and Tung Yuen has delivered wonderfully in creating their own chicken version of this meat bun, which manages to replicate the taste of the filling fairly accurately. 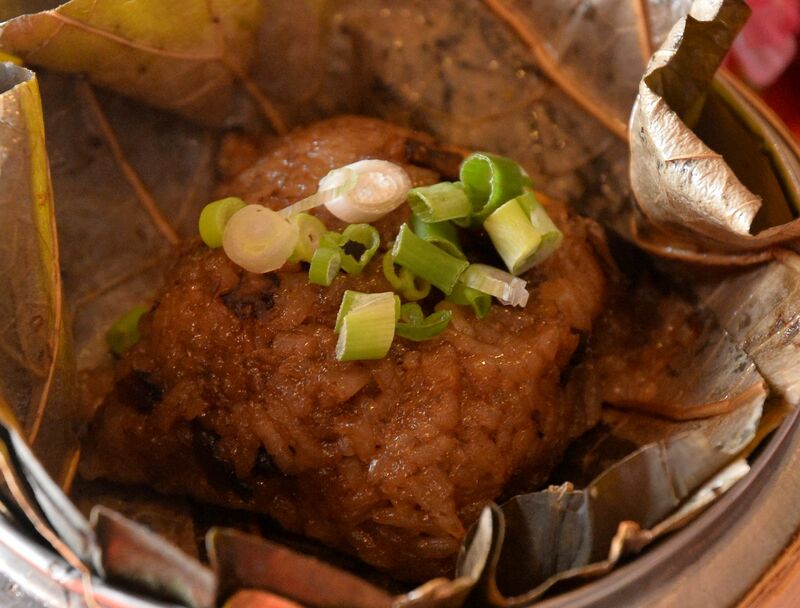 They have not missed out on the ho yip fan either — their Steamed Rice in Lotus Leaf (top pic) comprises ingredients such as chicken, mushroom and salted egg, making for a fragrant and savoury dish. My personal favourite was the Yam Ball, known to the Chinese as wu kok or Taro dumplings. With chicken meat replacing the usual filling, these deep-fried Taro puffs have not lost their fluffy consistency and savoury taste. 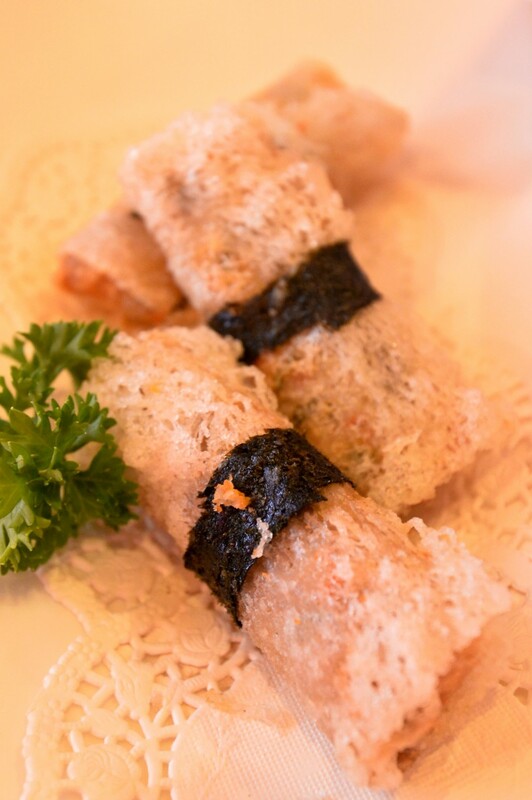 The Vietnamese Spring Rolls are a little plain on their own but go well with the dipping sauce. Other items in the promotion include varieties of coloured Crystal Dumplings (guo tie), Ocean Garlic Scallops, Vietnamese Spring Rolls, the savoury Crispy Fancy Ball and the sticky Crispy Golden Pear Dumpling. Diners with big appetities may also order small portions of Yang Chow-Style Fried Rice and Fried Mee Hoon with Seafood and Salted Fish. Those with a sweet tooth can complete their meal with these sweet desserts — Chilled Longan with Sea Coconut or Boiled Pumpkin Paste with Glutinous Rice Ball and Sago. 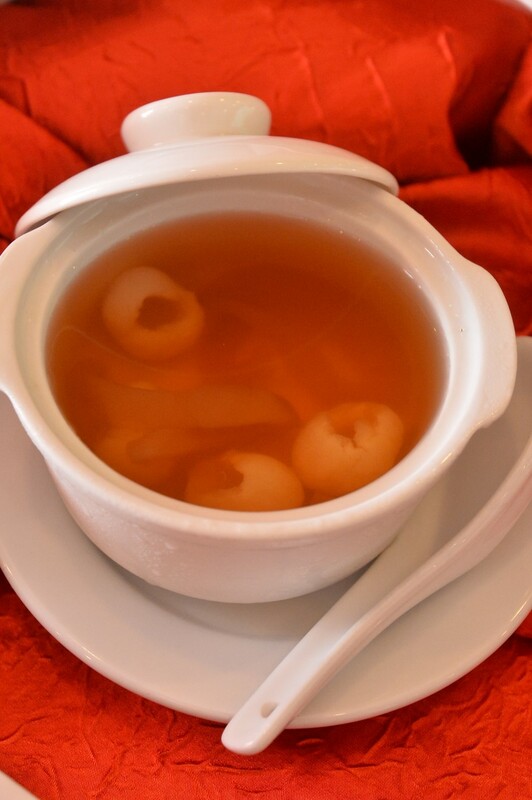 Diners will certainly look forward to a sweet and refreshing bowl of Chilled Longan with Sea Coconut at the end of their meal. Be warned not to be greedy with your orders though, as Tung Yuen Restaurant charges customers for every 100g of wasted food. The promotion runs throughout April and May, and guests are encouraged to make reservations three days in advance through phone booking.